Pennsylvania traffic fines are confusing, but for individuals who don’t suitably research them, they may appear scarer or more threatening than they actually are. It can be very easy to manage your Pennsylvania traffic fine, but remember that you still have the option available to fight it in open court. The costs associated with doing so, from court fees to what an optional defense lawyer would charge, may be much greater than your actual Pennsylvania traffic fine, so please research as much as possible before deciding your plan of action. A Pennsylvania traffic fine for speeding is no simple matter to compute. In fact, there are multiple different charges which compose such a Pennsylvania traffic fine, including administrative fees, Emergency Service Fund payments, a fee to pay for the upgrading of the judicial computer system, a surcharge on the Catastrophic Loss Trust Fund, and then the actual Pennsylvania traffic fine, which is composed of both a base fine and then an extra amount charged for each mile over the speed limit an individual went. 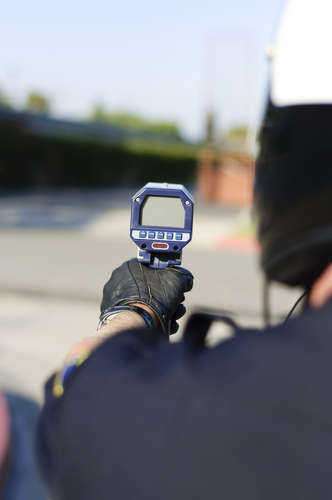 • Speeding in any zone not listed as being 65 miles per hour: $126 plus $2 for every mile per hour above five miles per hour above the speed limit that was driven. There is also a point system in place in the state of Pennsylvania that can make assessing your Pennsylvania traffic fines all the more difficult. That is because points work as indirect Pennsylvania traffic fines in that they tip car insurance companies that a driver is at-risk for an accident and should therefore be charged higher insurance premiums. One of the ostensible reasons for the point system is that it prevents such risky drivers from getting behind the wheel. All drivers who accumulate six points need to take an examination about proper driving etiquette and safety. If they pass, two points will be removed from their record. If you pass six points a second time, you’ll have to pass a on-the-road driving examination to still have control of your license and drop two points again. The third time you accumulate 6 points, an immediate suspension will be placed on your ability to drive. Drivers under 18 will get suspensions the first time they cross the 6 point limit.